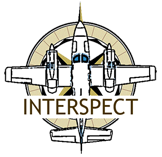 The Interspect Ltd. primarily produces aerial ortho image maps by RGB, MS or HS remote sensing and develops airborne instruments. Remote sensing for highway construction, investment control. - Online maps for companies. We are proud of our professional experiences and the own-developed high-quality digital INTERSPECT aerial sensor family.